European Wax Center in Newtown: Leaving you feeling gorgeous - Times Publishing Newspapers, Inc.
European Wax Center (EWC) in The Village of Newtown matches its location in a warm community with a unique hometown feel, therein lies a true passion to make all their Guests comfortable and highly satisfied. The goal of both Manager Ashley Costantino and Franchisee Art Sarzen is to cultivate the best experience possible. The Newtown Center offers a full array of waxing services for men and women alike including eyebrow, underarm, bikini, full leg, back, chest and so much more. Guests can also choose to enhance their waxing experience with EWC’s signature line of skin and beauty products that are all cruelty-free as well as biodegradable, great for guests and the environment at the same time. “Everything we do is to nourish and revive your skin,” Ashley expressed. Strut Lavishly – a line of body washes, polishes and lotions that are pH balanced to nourish and rejuvenate the skin along with inhibiting hair growth utilizing an extract from the daffodil bulb, leaving your skin feeling soft and supple. Strut Smoothly – an enhanced line of cleansers, enzyme exfoliators, treatments and masks. The antioxidant serum ‘Renew Me’ and exfoliator ‘Reveal Me’ both have anti-aging properties, keeping your skin plump and hydrated. New to EWC’s Strut Smoothly Line; ‘Glow It’, is a gradual glow body lotion that gives skin a healthy, natural-looking radiance while hydrating skin for a long-lasting glow. ‘Glow It’ also features two types of hair growth minimizers for slower hair re-growth in between waxes. Available in two shades; Fair to Medium and Medium to Tan. Strut Boldly – a full line of brow products to achieve the “ultimate browfection™” including hand polish tweezers, brow-liners and shapers, brow powders and tinted or clear brow builders. Another large part of EWC focuses on continuing education for both management and associate teams to assist in perfecting the entire waxing experience. “Knowledge promotes confidence and appreciation for what we do!” Ashley states. When you visit EWC as a new Guest, the first wax is always complementary. Women can choose to receive an eyebrow, underarm or bikini line wax and men can choose from eyebrow, nose or ear. 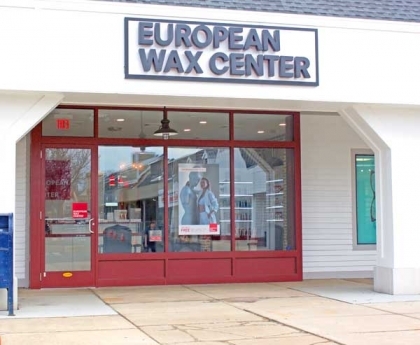 EWC Newtown has seven individual wax suites that are all kept pristine, comfortable and private. EWC is a network, with 750 locations throughout the country and over 50 centers under construction. Even though each location is individually owned, all locations are interconnected. EWC offers Wax Pass packages that are transferable to all EWC locations allowing Guests to save money while upkeeping their waxing throughout the country for the ultimate experience and convenience. Packages are versatile and crafted to fit every type of lifestyle, including passes for students and military. There’s more to EWC than just a place to leave your hair behind. They want to create a body-positive image in their Guests, to be more confident in their own skin. “We want you to be comfortable and confident with who you are and that’s our goal, to help you get there,” says Ashley. Walk in and strut out revealing beautiful skin and a more radiant self. Hours are Mon-Fri 8:30am-8:00pm; Sat 8:30am-5:00pm; Sun 9:00am-4:00pm.